CAMARILLO, Calif., Mar. 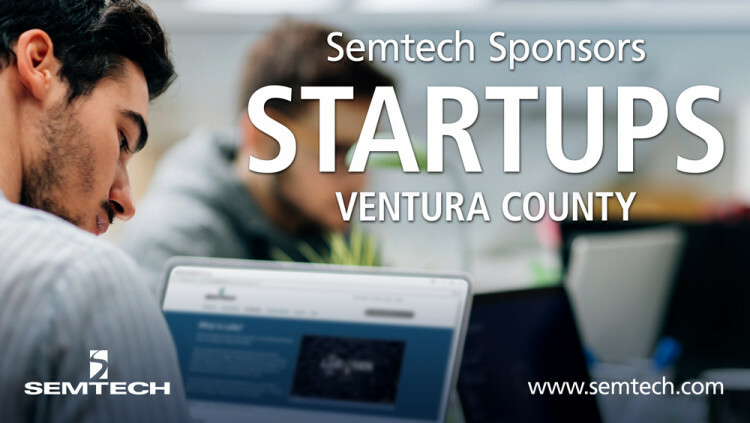 22, 2018 – Semtech Corporation (Nasdaq: SMTC), a leading supplier of high performance analog and mixed-signal semiconductors and advanced algorithms, today announced its technology sponsorship of Startups Ventura County at Rancho Campana High School in Camarillo, Calif. on Apr. 20-22. Semtech plans to award a cash prize totaling $15,000 to winners using its LoRa® devices and wireless radio frequency technology (LoRa Technology) in three categories: 1) the grand prize, 2) LoRa-based healthcare application and 3) LoRa-based smart agriculture application. Startups Ventura County is organized by Camarillo Chamber of Commerce and Dignity Health St. Johns Hospitals. Entrepreneurial, agriculturalists and healthcare specialists are invited to team up with engineers and business professionals to create smart Internet of Things (IoT) solutions for the challenges facing these industries. Local universities and trade associations are also engaged with the agricultural and healthcare companies to ensure solutions are innovative, effective and tailored to the region. All statements contained herein that are not statements of historical fact, including statements that use the words “plans,” “should,” “make possible,” “designed to,” or other similar words or expressions, that describe Semtech Corporation’s or its management’s future plans, objectives or goals are “forward-looking statements” and are made pursuant to the Safe-Harbor provisions of the Private Securities Litigation Reform Act of 1995, as amended. Such forward-looking statements involve known and unknown risks, uncertainties and other factors that could cause the actual results of Semtech Corporation to be materially different from the historical results and/or from any future results or outcomes expressed or implied by such forward-looking statements. Such factors are further addressed in Semtech Corporation’s annual and quarterly reports, and in other documents or reports, filed with the Securities and Exchange Commission (www.sec.gov) including, without limitation, information under the captions “Management’s Discussion and Analysis of Financial Condition and Results of Operations” and “Risk Factors.” Semtech Corporation assumes no obligation to update any forward-looking statements in order to reflect events or circumstances that may arise after the date of this release, except as required by law.